1. 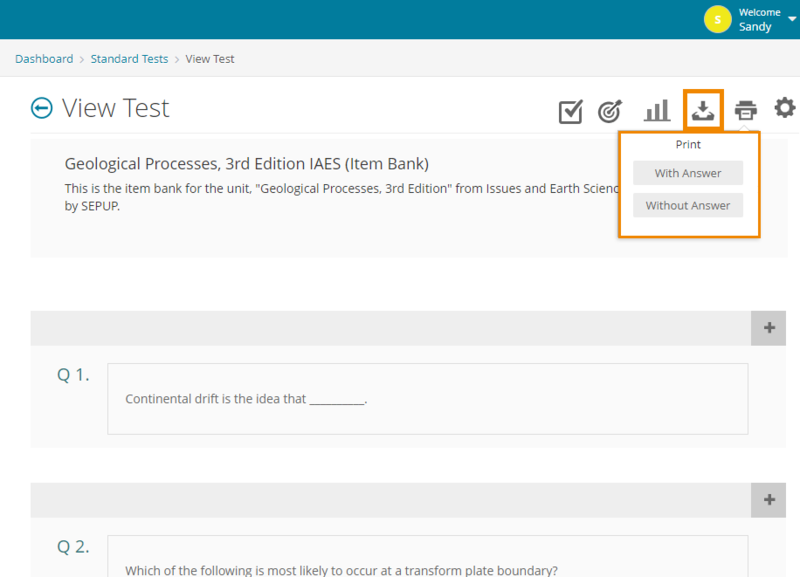 After logging into your teacher account, select Assessment > Standard Tests from the left-hand side menu. 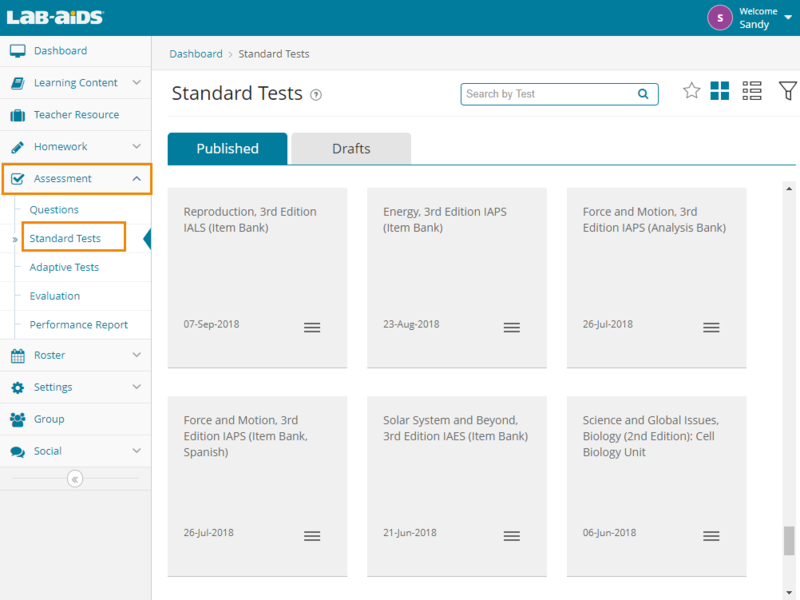 You will then be presented with a list of all the assessments you have access to, both pre-made tests and ones that you have created yourself. Select the test you wish to export/print. 2. You will then be shown all of the questions that are part of this assessment. 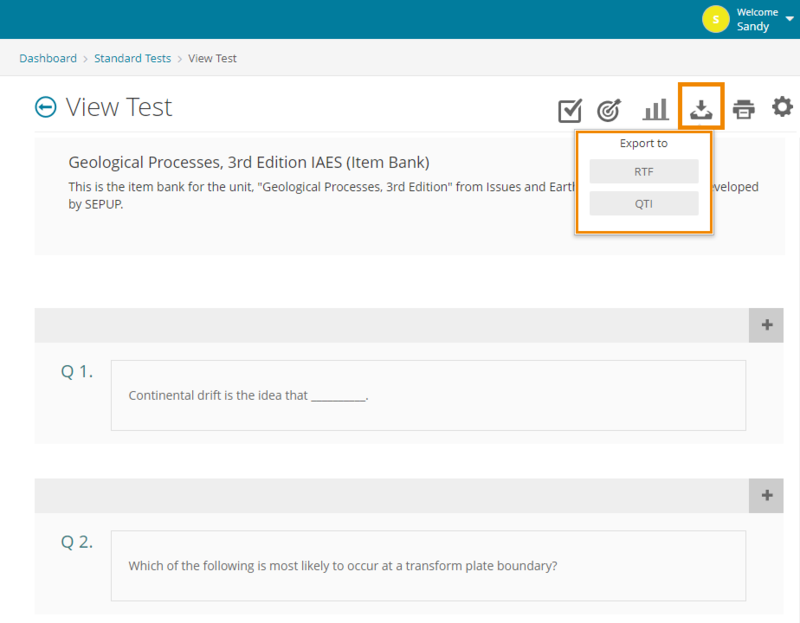 To export the questions, click the downward facing arrow icon on the top right. You can then choose from whether you want to export in RTF or QTI format. To print the test, click the print icon in the top right. You can choose whether you want to print with or without the answers.